My kids have hit the dreaded age where they’ve grown out of kids shoe sizes and suddenly shoes are AT MINIMUM $75. And they just keep growing. Like every few months. And not only do I hate the mall, but getting there more than a few times a year is just impossible it seems. So I’ve learned to make the online tools of the world work for me and not be so painful on the wallet. First rule of online shopping, sign up for Ebates. Ebates is a program on your computer or phone where you go to their site first, find your online store, and click through. 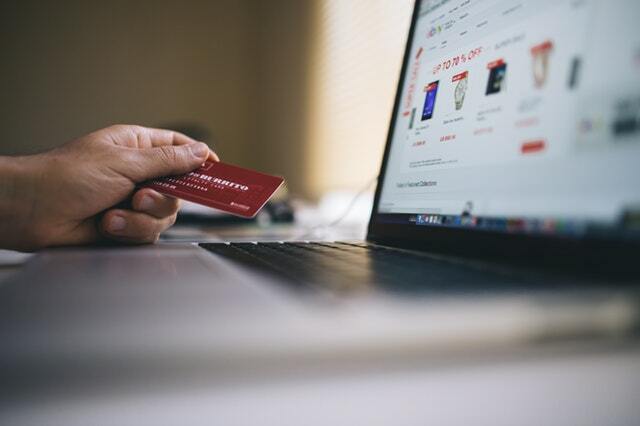 Sure, they often give you just 2% on your purchase but it does add up over time, and sometimes there’s up to 8% on some shops, so it’s worth the extra 10 seconds it takes to access through their site. Then I go through Ebates to Sportchek.ca as I find they have been the most consistent and seamless experience. 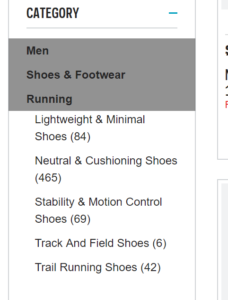 I select the category that I’m shopping for (Men’s Running in my case). 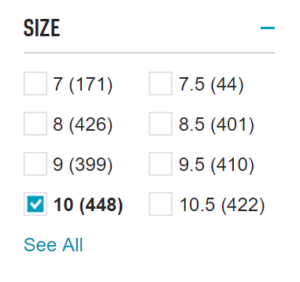 Use the “filter” menu to select the size, so you’re not wasting any time. Put in your child’s size. Then go to Sort, and sort price from low to high. You’ll generally end up with a selection of decent shoes under $60. (This step is optional – I ask my kid which ones he wants. PS, this only works if your kids aren’t horribly picky about their footwear. I find I can usually get the usual Nikes or Under Armour. And they also have far more online than instore.